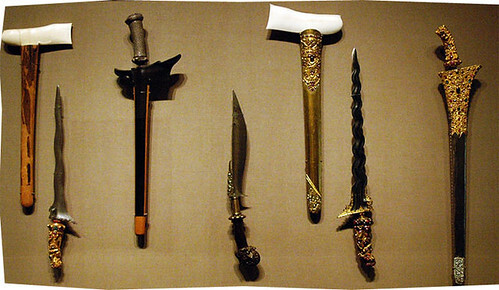 Traveljunkieindonesia.com – The Kris (wavy-bladed traditional dagger) is no ordinary knife. WONDERFUL! In Java it is said to be endowed with supernatural powers. Adat (traditional law) requires that every father furnish his son with a kris upon his reaching manhood – preferably an heirloom kris enabling his son to draw on the powers of his ancestors (which are stored in the sacred weapon). Some think the Javanese kris (from iris, meaning ‘to cut’) is derived from the bronze daggers produced by the Dongson around the 1st century AD. 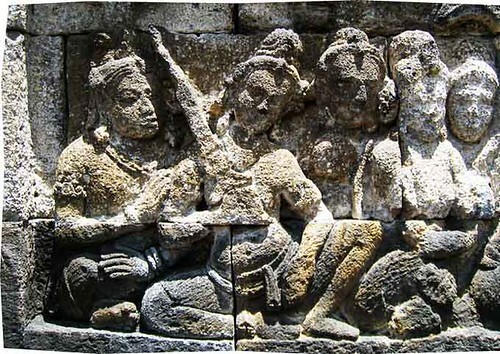 Bas-reliefs of a kris appear in the 14th-century Panataran temple complex in East Java, and the carrying of the kris as a custom in Java was noted in 15th-century Chinese records. Today, the kris is still an integral part of men’s formal dress on ceremonial and festive occasions. Before the arrival of Islam, Hindu-inspired images were quite often used to decorate the wooden hilts – the garuda (mythological man-bird) was a popular figure. After the spread of Islam such motifs were discouraged, but were often preserved in stylised forms – the origins and symbolism of the kris lay too deep in Javanese mysticism to be eradicated completely. Distinctive features, the number of curves in the blade and the damascene design on the blade are read to indicate good or bad fortune for its owner. The number of curves in the blade has symbolic meaning: five curves symbolise the five Pandava brothers of the Mahabharata epic; three represents fire, ardour and passion. Although the blade is the most important part of the kris, the hilt and scabbard are also beautifully decorated. 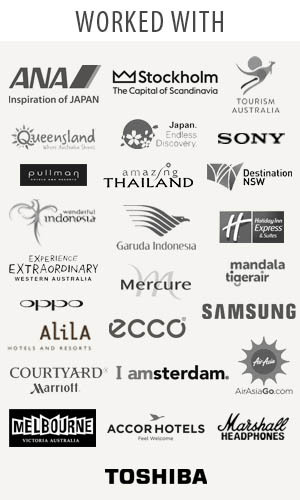 Although the kris is mostly associated with Java and Bali, larger and less-ornate variations are found in Sumatra, Kalimantan and Sulawesi.